These days, you will see chickens being kept for more than their eggs and their meat. These days, you may very well see people keeping chickens as pets. It isn’t uncommon for those that keep chickens as pets to feel the same bond as people feel with more common pets such as dogs and cats. If you decide that you would like to keep chickens as pets, you need to check the zoning laws in your area. Some areas prohibit farm animals, especially in urban areas. Other locations may allow chickens, but limit the number that you can have. So, be sure to check the laws in your city and county regarding chickens and farm animals. Once you’ve verified that it is okay to keep chickens, you need to choose which breed of chicken you want to keep as a pet. You should do some research regarding different breeds of chicken before making your decision. You’ll want to know which breed would be the most suitable for you. Since you’ll be keeping chickens as pets, then you’ll probably want a breed with some visual appeal. You’ve probably seen the chickens at your local fair. You’ve seen that they come in several colors and styles. They may have high tails, bushy tails, feathered legs, a mop of feathers on the head, and of course they come in many different colors. You’re getting the chicken to be a pet, so you’ll want to be sure to choose one that will maintain your interest. You’ll want to choose one that will get the attention that a pet deserves. If you have small children, you may want to choose bantam chickens, which are smaller than regular chickens. Children will be less likely to be afraid of them, and will be drawn to them, as they are to other small animals. When you get your chickens, you’ll want to get chickens that are young, preferably chicks. A younger bird will have plenty of time to get used to being handled by people, and get to know them. Hens will usually make better pets than roosters, since the hens tend to be more docile. Even if you are keeping the chicken as a pet, you’ll have a good supply of eggs if you get a hen. Pet chickens should be free-range. Chickens love having space to walk around. The chickens will also need a place to perch and nest… they are birds, after all. A nice, secure chicken coop will protect the chickens from the weather, and from predators. A yard outside the chicken coop will give them a place to roam around, and to scratch in the dirt. Chickens love to dig and scratch, and forage for food. When it comes time to feed the chickens, they will eat almost any food that you give them. Worms, bugs, table scraps, seeds, etc., will be eaten. Feed the chickens from your hand, and they will easily become tame, and begin to associate you with food, and will come to greet you eagerly when they see you coming. If you raise them properly, give them an environment in which they can thrive, and be healthy and secure, your chickens can come to be just as much a part of the family as other pets, such as dogs and cats. Have you tried telling your child the zu zu pets toy hamsters are sold out and Santa has a waiting list? It wasn t that effective huh? Every year parents get the old one-two knockout with a new must-have toy that sells like wildfire while the price skyrockets. These new zu zu pets toy hamsters are no different than every other child fascination that they love for a few weeks and toss to the side but like any other parent you will want to please them for the holidays. The manufacturer says where to buy them and of course they only send each store a specific amount; this creates the frenzy especially around the holidays. Your best bet is to always try ordering online first. There are several reasons to search for your zu zu pets toy hamsters online versus in the stores. – Most online vendors still do not charge taxes so you can purchase these zu zu pets toy hamsters cheaper minus the taxes. – Most online vendors are providing specials like coupons, discounts for shopping at their stores, especially during this approaching holiday season. You can also get free shipping during this hurried time. – By searching online vendors you can easily seek out those who still have stocked inventory of the zu zu pets toy hamsters; it s more convenient than walking the malls searching for the toys and you get to compare prices all in the comfort of your home. So what happens when all else fails and you still can t locate the infamous new zu zu pets toy hamsters? Start searching on ZuZuPetsToyHamsters.com; right now this is the only website beside maybe Ebay that you can find in stock zu zu pets. If you do not want to be stressed out in a bidding war for the cute little hamsters, then Amazon is the place to go. You can also try joining forums and parent groups to inquire about zu zu pets toy hamsters. 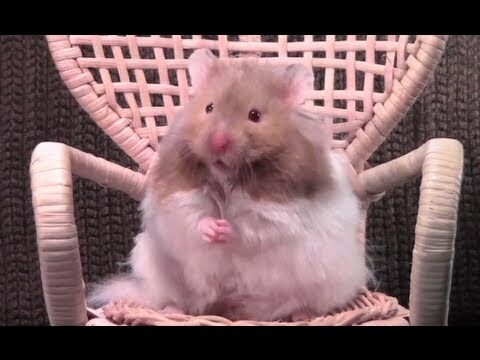 Many parents who know all too well the must-have scenario you re in will be happy to help you if they know of any zu zu pets toy hamsters in a store close by.